Official Vintage Bob Dylan and the Band Basement Tapes T-Shirt. A 1966 motorcycle crash at the pinnacle of Bob Dylan's career left him unable to perform. So in 1967, Bob Dylan and his backing band, The Hawks (soon to be The Band), began playing music in their homes around Woodstock, New York -- including the house famously dubbed Big Pink. It would take eight years before Columbia Records would finally release the iconic Americana album The Basement Tapes in 1975. 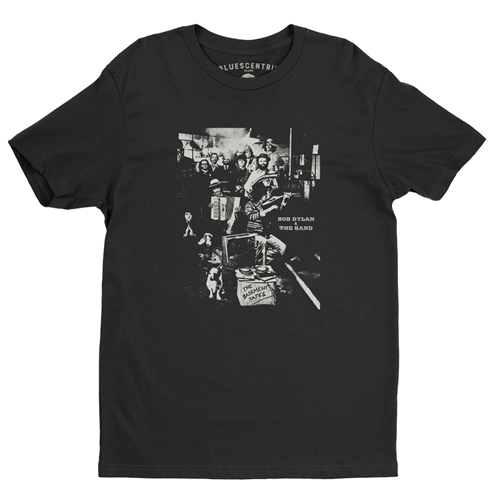 This vintage Bob Dylan and the Band Basement Tapes t-shirt comes in premium lightweight 4.2oz vintage style sizes up to 4XL. Solid colors are 100% combed, ringspun cotton. Athletic Heather is 90% cotton. All other Heather colors are 52% cotton, 48% poly. Sizes run true. 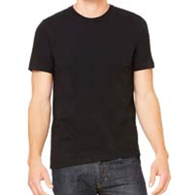 Favorite Bob Dylan vintage tee shirts are lighter and slightly more fitted compared to the Classic Gildan tees.